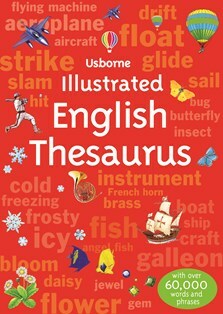 A clearly presented children's thesaurus with colourful illustrations and helpful suggestions for alternative words to inspire creative writing. Arranged alphabetically, with a guide to parts of speech and choosing and using words. An essential reference book for home or school, fully updated for 2015 and beyond. With online resources that have been specially chosen to accompany this book, accessible via Usborne Quicklinks, including help with spelling and grammar, plus quizzes, tests and exercises.